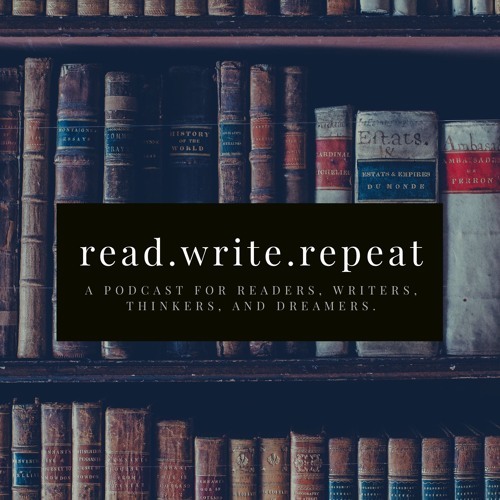 The Read.Write.Repeat podcast was born from obsession. In its basic form, it is an obsession with storytelling. To our loved ones, it is just that, a strange quirk, nothing more. For us, it has evolved into a driving thirst that results in grandiose projects, strange discoveries, wild dreams, and the occasional hastily erected shrine. Come along as we impulsively pursue all manner of literary ecstasies and plan elaborate escapades and forays into all things reading, writing, and publishing. We are excited to bring you a podcast focused on reading and writing from three people with unique insights into the industry. Read.Write.Repeat will inspire your reading and writing and feed your passion for the written word.